Learn more at www.lesleyyadon.com and/or join her Facebook page fb.me/LesleyYadonCoaching. My mother was the first among her siblings to earn her Masters degree. But in her heart of hearts what she most longed for was a family. She deeply desired to be a stay at home mom. So when she had her first baby, me, she did just that. 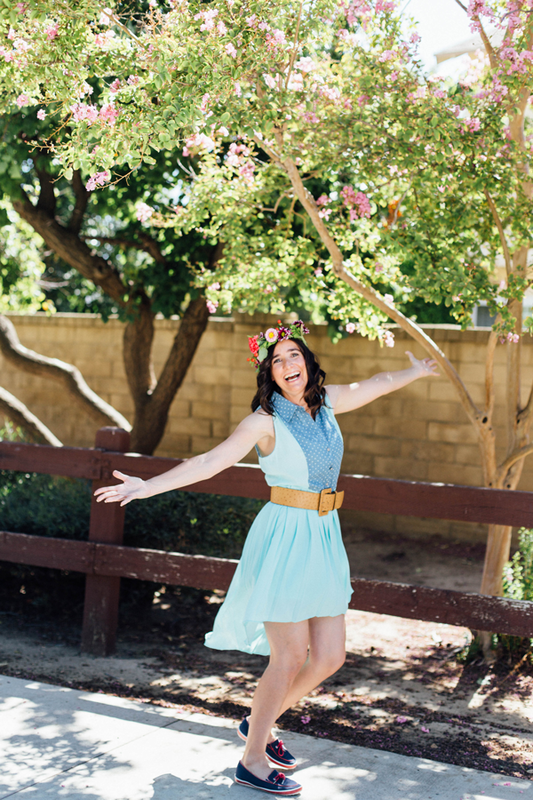 She quit her job as a Speech and Language Pathologist. In the first three years of my life she created a cozy home life. She and my dad were really into outdoor activities and they introduced me to skiing, backpacking and sailing when I was just a baby. My mother had her second daughter when I was three & a half and our family began to disintegrate at that time. My parents divorced when I was about four years old. She became a single , working mom- everything opposite of what she wanted to be. That divorce rocked my mothers world. It deeply wounded her. Throughout my growing up years my mother placed an emphasis on education. She spoke about how important it was that her daughters get an education so that no matter what happened, we would always be able to take care of ourselves. I knew, without her saying so, that she wanted us to be as independent of a mans income as we could. My mother homeschooled me first through third grade and after that helped me every single day with homework and tests. Her steadfast voice and value of education encouraged me to go to college. I earned two bachelors and a Masters! My mother has two daughters with a Masters and a son with a Bachelors. Her influence has shaped our ability to have a voice and get employed. My mom is a woman of conviction and faith. She raised me in a Christian home, teaching me that God’s love will eventually redeem each and every one of us. While I no longer identify as Christian, her deep seated faith influenced my life and values profoundly. Without that, I would not be the loving , compassionate, spiritual woman I am today. My pregnancy and Arthur’s birth were definitely spark moments. His first year of life was filled with these moments: both gloriously hopeful and excrutiatingly painful. My pregnancy was a bit of a surprise and my husband and I were in a relatively rocky place in our relationship. I couldn’t imagine being a mother and felt like my life was essentially over because it had to now be superseded by a baby’s life. All around me I saw mothers completely crucifying their own lives- their desires, their hopes, their gifts- on the cross of motherhood. Maybe that’s a harsh metaphor, but that’s what it looks like to me. I thought that’s what I needed to do. But as I moved through my pregnancy, I made a CHOICE. I chose the pregnancy and motherhood. I chose to see who I would become and how I could grow through this experience. That was the first spark. Another was taking Marie Forleo’s B-school and a third was quitting my full time job! My passion is supporting new moms who are struggling with worry, overwhelm and guilt to create more peaceful and joyful lives. My purpose in the world is to become the best version of myself possible so that I can make my largest contribution toward the growth and healing of our world, beginning with mothers. 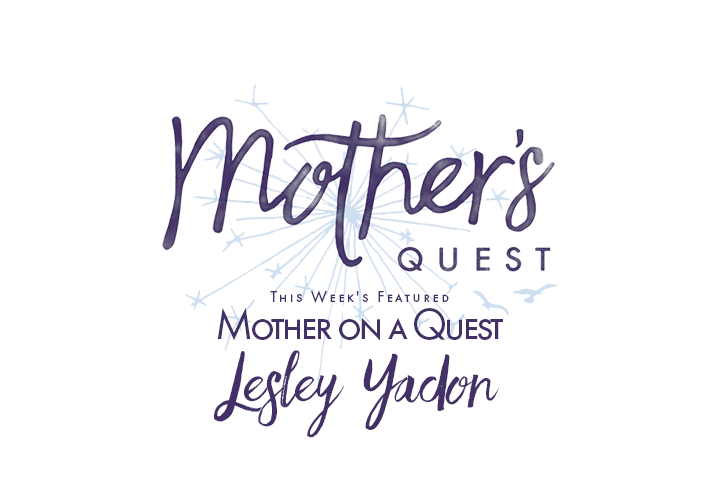 The mission behind Lesley Yadon, LLC is to inspire, promote and protect mothers worldwide. I love the podcast Soul Work for Moms and LOA Recon. 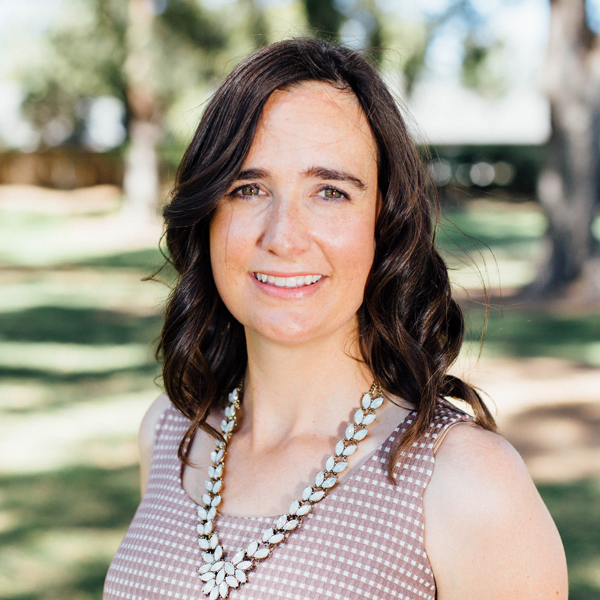 I also listen to Brook Castillo for amazing mindset work and Tara Brach for mindfulness. I’m really digging into the book, Chakras, Beyond Beginners. The Universe supports me. Source and I are co-creating this life. My vision for this year is Generosity. I admire the breadth of women Julie interviews and I love her open-hearted honesty and generosity that shines through in everything she does . My favorite episode is her interview with Ryan! It was delightful and silly and touching all at once. 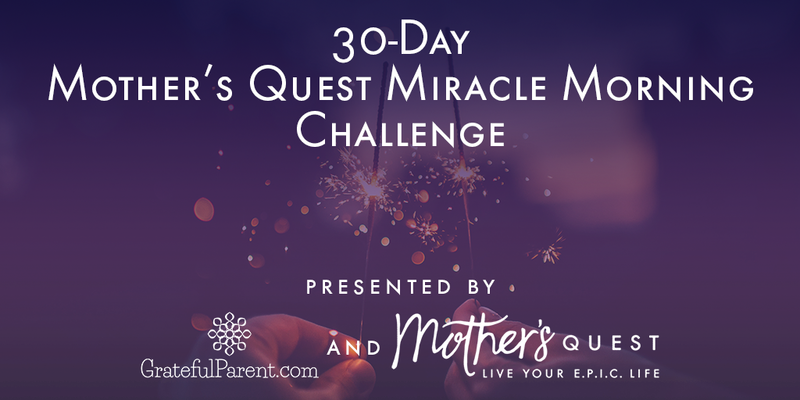 It’s not too late to join the 30-Day Mother’s Quest Miracle Morning Challenge! Click here to join other mothers who are having miracle mornings.